Apple tightly controls its software and hardware, and is fiercely competitive in battling its rivals, especially in the mobile market. And yet, while the company never creates apps for anyone else’s mobile system or device, each of its major mobile-platform foes — Google, Amazon and Microsoft — make many of their apps available for Apple devices. That makes those devices the sort of Switzerlands of the mobile world. If you buy an iPhone or iPad, you get Apple-written mobile apps and services like Siri, iMessage, iWork, iPhoto and FaceTime, which aren’t available on other phones and tablets. But you can get first-class versions of competitors’ official apps. 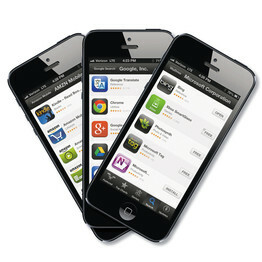 While there are no versions of Apple apps for other mobile platforms, its iOS platform draws many apps from rivals. So, iPhone and iPad users who prefer apps from other big mobile-platform makers don’t have to switch to an Android or Windows Phone or an Amazon tablet. They have access right on their Apple devices to major apps from these competing platforms. But people with non-Apple mobile devices can’t get Apple’s mobile apps and services. This is obviously a lopsided situation in Apple’s favor. But it stems from the different business models of the big rivals. Google, Microsoft and Amazon are primarily software and services companies, though each makes some mobile hardware (Google through its Motorola subsidiary). But Apple, while famous for making good software, sells that software almost entirely through iconic and expensive hardware, from which it makes the vast majority of its money. 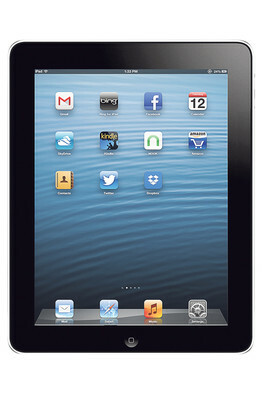 Although Android devices are the most popular, Apple has sold over 400 million iOS devices. So the Apple market is too big to ignore, even for its direct competitors. Apple’s major mobile-platform rivals — Google, Microsoft and Amazon — all have official versions of their apps for Apple devices. Apple device owners can run official apps for Google Maps, Google Search, Gmail, Google’s Chrome browser, Google Drive and more. They can get Microsoft-written apps for its Bing search service, its SkyDrive cloud-storage service, its OneNote note-taking service and more. And they can get a host of Amazon’s apps, including several apps for Amazon’s online store and apps for Amazon’s cloud-based video and music steaming services. Some examples: If you read digital books on your Apple device, you can use either Apple’s iBooks app, an official Kindle app, or the official Google Play Books app, among others. If you like asking your phone questions by voice, you can ask either Apple’s own Siri intelligent assistant, or the voice feature in Google’s search app. You don’t get either of those combinations on other phones because Apple doesn’t share its apps. Even Samsung, Apple’s major hardware rival, makes a handful of iPhone and iPad apps for the electronics maker’s products, including one that turns an iPhone or iPad into a remote control for Samsung Smart TVs. Yes, that’s right, you can use an iPhone to control a Samsung TV, courtesy of Samsung. In the case of Google Maps, the version for Apple devices is more modern, and sleeker, than the one for its maker’s own platform. And these apps from Apple’s rivals keep coming. Google just released an iOS version of Field Trip, a location-based app that highlights points of interest; and Microsoft recently released an iOS version of its Xbox SmartGlass app, which links mobile devices to its game console. Note that I am only talking about apps that are officially published by Apple’s rivals themselves, not those from other developers that may mimic or provide workarounds for an app from one rival for another’s platform. And I am not referring to services that can be accessed via the browser on mobile devices, only self-contained apps. Amazon noted it has long had a public policy called “Buy Once, Enjoy Everywhere,” that aims to make buying its digital content and physical goods easy on all hardware, not just its own Kindle devices. Apple, which years ago did put iTunes and its Safari browser on Windows PCs, had no comment on its policy of restricting its mobile apps and services to its own hardware. There are some major caveats. If you want to live in a Google or Microsoft world, with a single sign-on to those companies’ services and all of their apps, an Apple device won’t cut it. Certain key apps from Google and Microsoft aren’t available on iOS. For instance, you can only get the official smartphone version of Microsoft Office on a Windows Phone (though there are rumors of an iOS version). Google’s artificial intelligence app Google Now and its payment app Google Wallet are AWOL on Apple devices. And there are many other reasons, including hardware and user interfaces, why smartphone buyers might prefer Android or Windows Phone devices. Another caveat: Both Microsoft and Amazon make an array of apps for phones and tablets running Google’s Android operating system. But even so there are instances where Apple owners have a slight edge. Amazon’s video-streaming app is available for Apple devices, but not Android. And again, Android owners can’t run Apple’s official apps. Owners of Windows Phones have much less of a choice in rivals’ apps: Only one from Google, three from Amazon, compared with a dozen or more from each on Apple devices. Owners of Kindle Fire tablets, which use a modified version of Android, have almost no choices from Amazon’s major rivals. So what does this mean for you? It may not be enough to justify choosing an iPhone or iPad. But if you do, you can still enjoy many of the key apps from other big makers of mobile platforms.